Hayes, G., and Hayes, A., 2013, Geology and Cultural History of the Western Colorado Plateau with a Geologic Road Guide for Grand Canyon, Zion and Bryce Canyon National Parks, self published for a field seminar with the American Association of Petroleum Geologists. Hughes, N., and Hayes, G., Geological Excursions in the Sonora Pass Region of the Sierra Nevada, National Association of Geoscience Teachers - Far Western Section, Fall 2012 Conference Guidebook, Sunbelt Publishing, 122 pages. 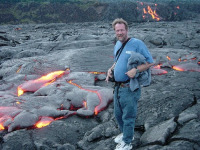 Editor and Conference Organizer, Geology and Natural History of Lava Beds National Monument, National Association of Geoscience Teachers – Far Western Section, Fall 2007 Conference Guidebook, 113 pages. Author, From the Foothills to the Sky: A Teacher’s Guide to the Geology of the Tuolumne Meadows Region of Yosemite National Park, National Association of Geoscience Teachers – Far Western Section, Fall 2006 Conference Guidebook, pages 125-155. Author, A Teacher’s Guide to the Roadside Geology of Kings Canyon National Park and Giant Sequoia National Monument, National Association of Geoscience Teachers – Far Western Section, Fall 2005 Conference Guidebook, pages 39-60. Garry F. Hayes, 2002, Use of Collaborative Problem Solving in the Field to Predict "Future" Effects of Past Events (abstract). Proceedings of the Pacific Division, American Association for the Advancement of Science, Volume 21. Editor and Conference Organizer, The Living Geology of the Sierra Nevada, Great Valley and Coast Ranges of California, National Association of Geoscience Teachers – Far Western Section, Fall 1998 Conference Guidebook, 163 pages.